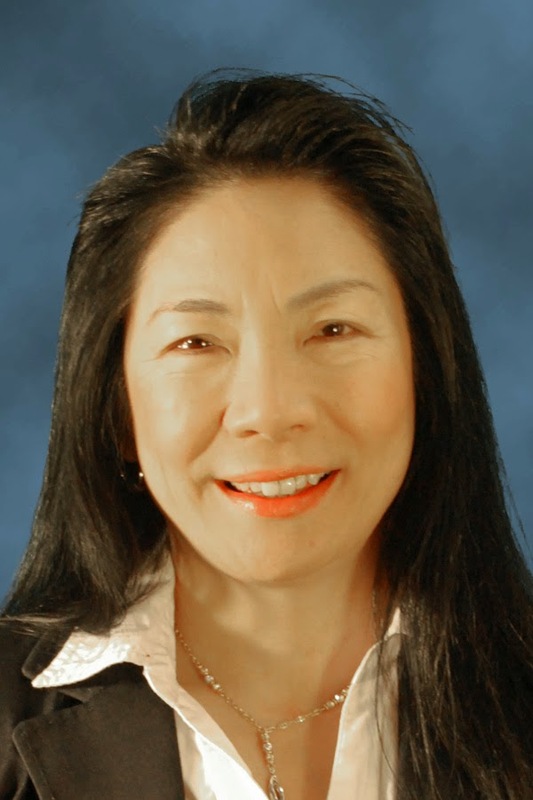 KCI Technologies, a multi-disciplined engineering firm with offices throughout the eastern and central United States, welcomes Lucia Lee, P.E., BCEE, to its Houston, Texas, office as a senior environmental engineer and project manager. She is charged with growing the firm’s water/wastewater practice in the state. With 25 years of experience, Lee’s focus has been in planning, designing, and construction management of water/wastewater and infrastructure projects. Before joining KCI, she worked on the city of Sugar Land’s $69 million surface water treatment plant and the design of improvements at multiple satellite wastewater treatment plants for the city of Houston. Lee earned a Bachelor’s degree in civil/structural engineering from the University of California-San Diego in 1989. She is a registered professional engineer in Texas, California, and Nevada and an Academy of Environmental Engineers and Scientists Board Certified Environmental Engineer. Lee is a member of the American Water Works Association, American Society of Civil Engineers, National Society of Professional Engineers, and Water Environment Federation. KCI is an engineering, consulting, and construction firm serving clients throughout the United States and beyond. In 2012, KCI acquired Houston-based ESPA CORP, an engineering, architecture, and construction management firm. Roughly 1,000 KCI employee owners provide environmental, transportation, telecommunications, construction, facilities, and land development services from more than 20 locations. For more information, visit www.kci.com. Professional Service Industries (PSI) has promoted Dave Sabol, P.E. to senior vice president overseeing PSI’s operations and business development personnel in Pittsburgh, Canton (Boston), Schenectady, Tonawanda (Buffalo), Morgantown, and PSI’s Wal-Mart New York and Homer City Special Projects. Sabol earned his Bachelor of Arts in Physics from Mansfield University and his Bachelor of Science in Civil Engineering from Penn State University. He is based in PSI’s Tonawanda operations office and has been with PSI since June 1990. PSI has also promoted Alagaiya Veeramani, P.E. to vice president overseeing all operations and business development personnel in the cities of Cleveland, Girard, Canton, and PSI’s NEORSD and ODOT Landslide Special Projects. Veeramani earned his Bachelor of Science in Civil Engineering from the University of Annamalai, India and his Master of Science in Civil Engineering from the University of North Carolina. He is based in PSI’s Cleveland office and has been with the company since May 1989. PSI (www.psiusa.com) is an independent engineering and testing firm and one of the largest consulting engineering firms in North America. PSI provides a wide range of environmental engineering and testing services, including environmental consulting, geotechnical engineering, construction materials testing and engineering, industrial hygiene services, facilities and roof consulting, and specialty engineering and testing services. Headquartered in Oakbrook Terrace, IL, a Chicago suburb, PSI operates from 100 offices in North America with more than 2,000 employees. Using little more than a few perforated sheets of plastic and a staggering amount of number crunching, Duke University engineers have demonstrated the world’s first three-dimensional acoustic cloak. The new device reroutes sound waves to create the impression that both the cloak and anything beneath it are not there. The acoustic cloaking device works in all three dimensions, no matter which direction the sound is coming from or where the observer is located, and holds potential for future applications such as sonar avoidance and architectural acoustics. The study appears online in Nature Materials. To achieve this new trick, Cummer and his colleagues turned to the developing field of metamaterials, the combination of natural materials in repeating patterns to achieve unnatural properties. In the case of the new acoustic cloak, the materials manipulating the behavior of sound waves are simply plastic and air. Once constructed, the device looks like several plastic plates with a repeating pattern of holes poked through them stacked on top of one another to form a sort of pyramid. To give the illusion that it isn’t there, the cloak must alter the waves’ trajectory to match what they would look like had they reflected off a flat surface. Because the sound is not reaching the surface beneath, it is traveling a shorter distance and its speed must be slowed to compensate. To test the cloaking device, researchers covered a small sphere with the cloak and “pinged” it with short bursts of sound from various angles. Using a microphone, they mapped how the waves responded and produced videos of them traveling through the air. Cummer and his team then compared the videos to those created with both an unobstructed flat surface and an uncloaked sphere blocking the way. The results clearly show that the cloaking device makes it appear as though the sound waves reflected off an empty surface. The research was supported by Multidisciplinary University Research Initiative grants from the Office of Naval Research and the Army Research Office. Envirogen Technologies and Inotec have entered into a joint technology development agreement to advance the performance of bioreactors in groundwater, mining water, and a broad range of wastewater treatment applications. The initial focus of the development activity will be on reducing the amount of substrate (electron donor) required to successfully operate anoxic bioreactors as well as on minimizing the amount of solids generated during operation. Bioreactor treatment operating costs are among the lowest of any type of water treatment technology on the market today, with electron donor and solids handling representing a significant portion of long-term project costs. Initial targets for technology development will be removal of metals and inorganics such as perchlorate, nitrate, sulfate, selenium, arsenic, mercury, and more. According to Dave Enegess, senior vice president for Envirogen, the potential synergies for Envirogen’s fluidized bed reactor (FBR) and Inotec’s electro-biochemical reactor (EBR) technologies can be a boon for companies in need of high-performance, lower-cost water treatment. “We’re excited at the opportunity to work with Inotec to advance the state-of-the-art of bioreactor technology. Jack Adams and his team have been at the forefront of bioreactor technology development for decades. The innovation in the EBR technology is apparent and addresses key industry concerns,” he says. “This agreement is another step in our drive to push bioreactor technology to meet new challenges for treatment efficiency and cost-effectiveness. The goal here is first to develop better solutions tailored to groundwater and wastewater treatment applications in mining, power, chemical, and refining facilities and potentially to develop revolutionary, next-step bioreactor technology,” he continues. Envirogen’s FBR is a fixed-film bioreactor in which biological media is suspended, or fluidized, within the reactor vessel by the upward flow of water through the system. High concentrations of biomass, its plug-flow characteristics, and tall beds minimize bioreactor footprint and shorten retention times. They offer steady-state performance without the need for backwashing and tolerate high feed total dissolved and suspended solids and metals. Inotec’s EBR provides electrons to microbes in reactor environments using low DC voltage potential (1-3 volts) and mA current in configurations that provide an electron density gradient or a controlled electron density. The provided electrons result in increased microbial contaminant transformation kinetics, reduced retention times, and reductions in the amount of nutrients and chemicals required for contaminant removal. D. Jack Adams, President of Inotec cited Envirogen’s experience in deploying over 60 FBRs for groundwater and wastewater treatment as an indication of the company’s leadership in the field. “The Envirogen team are pioneers in fluidized bed bioreactor technology for water treatment. Development of hybrid bioreactors, like an electro-biochemical fluidized bed reactor technology, holds considerable potential for more economical and more effective water treatment. The FBR process obtains one of the fastest contaminant removal kinetics, while the EBR technology consistently demonstrates metal and inorganics removals to low- and sub-ppb values. We look forward to working with Dave Enegess and the Envirogen team to apply the synergistic benefits of our combined technologies and to continue advancing the science and performance of bioreactor technology." Headquartered in the Houston suburb of Kingwood, Texas, Envirogen Technologies is an environmental technology and process solutions provider that combines experience in water and vapor phase treatment with process development expertise, delivering long-term, guaranteed solutions in a broad range of treatment and process-related applications. A primary focus for Envirogen is the concept of lifecycle performance, in which the company provides guaranteed, pay-for-performance, long-term contracts at predictable costs that offer customers the lowest total cost over the lifetime of an equipment installation. Primary applications for Envirogen’s systems include treatment of groundwater for the delivery of high-quality potable water, groundwater remediation, wastewater treatment, water re-use, nutrient removal, and odor and VOC control for municipal and industrial markets. In industrial markets such as food and beverage, mining, power, hydrocarbon processing and chemical processing, Envirogen also specializes in process water treatment, byproduct recovery, and chemical purification. The company conducts business throughout the United States, with regional offices in Southern California, New Jersey, and Tennessee. For more information, visit www.envirogen.com. Headquartered in Salt Lake City, UT, Inotec is an environmental engineering and biotechnology company providing innovative solutions to remove metals, inorganics, and organic contaminants from industry waters. Inotec combines source treatment, semi-passive, and bioreactor technologies into site-tailored systems to address a broad spectrum of water treatment issues in a sustainable manner. The company's goal is to combine proven technologies and expertise to deliver the most reliable and economical water treatment solutions for re-use or safe release to the environment. For more information, visit www.inotec.us. 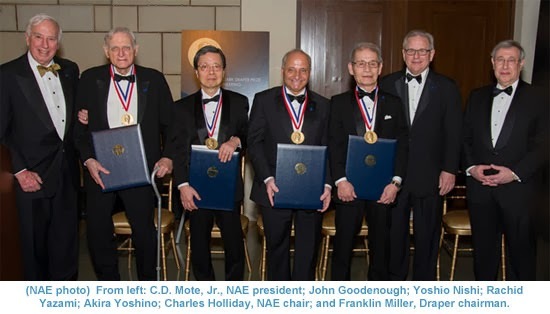 The National Academy of Engineering (NAE) presented its highest honor to the engineers who laid the groundwork for today’s lithium ion battery during a recent ceremony in Washington, D.C.. The NAE honored John Goodenough, Rachid Yazami, Akira Yoshino, and Yoshio Nishi with the Charles Stark Draper Prize for Engineering, which annually recognizes engineers whose accomplishments have significantly benefited society and is considered the Nobel Prize of engineering. Now in its 25th year, the prize includes a $500,000 award. Thirty five years ago, Goodenough demonstrated the feasibility of a rechargeable lithium ion battery at four volts with the use of lithium cobalt oxide as the positive node. In 1980, Yazami showed that graphite could be used as the battery’s negative node. Yoshino assembled the first prototype lithium ion battery in 1985, and six years later, Sony released the first commercial lithium ion battery, with research, development, and production led by Nishi. The market for lithium ion batteries, an important feature in devices such as laptops, smartphones, hearing aids, and electric cars, is projected to reach nearly $60 billion by 2020, according to an IHS iSuppli study. The Charles Stark Draper Prize was established and endowed by Draper Laboratory in 1988 in tribute to its founder, Dr. Charles Stark Draper, who pioneered inertial navigation. It honors those who have contributed to the advancement of engineering and public understanding of the importance of engineering and technology. Previous winners over the past 25 years include the inventors of the mobile phone and supporting infrastructure, the World Wide Web, GPS, and the turbojet engine. Draper Laboratory is a not-for-profit, engineering research and development organization dedicated to solving critical national problems in national security, space systems, biomedical systems, and energy. Core capabilities include guidance, navigation and control; miniature low power systems; highly reliable complex systems; information and decision systems; autonomous systems; biomedical and chemical systems; and secure networks and communications.